This section includes descriptions and pictures of the different releases which feature Morten Harket (other than his solo work). These include songs with Morten on backing vocals, collaborations with other artists and tracks sung by Morten which appear on compilation albums. The Norwegian singer Jan Bang released his album "Frozen Feelings" on CBS in Norway. It features Morten on backing vocals on track 5 "Merciful Waters". The Dutch made album was released on CD and LP, but only released in Norway. The cover of the album shows the artist looking down in front of you. The colour is a light blue duplex colour. The back cover lists the 10 songs. 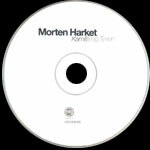 Morten Harket is not credited, but listed under "Thanks to" as Morten H. The disc is mainly silver with black text, but two red strips have been printed on it, one down the left hand side and one across the middle on the right. Jan Bang released the single "Merciful Waters" in Norway which featured Morten on backing vocals. It was released on CBS. 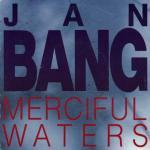 The cover has the text Jan Bang: Merciful Waters printed in capital letters on a blue and white coloured background. The single was printed/pressed in Holland, but only released in Norway! Jan Bang also released the single "Frozen Feelings" in Norway. It is claimed by some that Morten sings some backing vocals on this track, but this information is not confirmed. The cover features a blue-toned black and white shot of the singer with the title printed in black in the top right hand corner. This 7" was released as a promo only in Norway to promote the Scout Convention at Skaugum 5-12 August 1989. Only 500 copies of this 7" were pressed. The disc plays the same both sides with the track "Det Er Ennå Tid" (4:25) sung in Norwegian by Bjørn Eidsvåg with Morten Harket and the Oslo Gospel Choir. The single comes in a plain white card sleeve. The label of the disc is light green and cream with the record company logo at the top and track information below. A limited number of these promo singles came inside a white folder with "Norges Speiderforbund" and the blue and green Scout logo printed at the bottom. It comes with a black and white print of Morten and Bjørn, a small "Skaugum" book, magazine, 2 "Skaugum" stickers and 3 printed sheets with details of the Scout Convention. A compilation cassette (Speiderkassetten 1989) featuring Norwegian hit songs was released in Norway on Norsk Plateproduksjon. The title track (track one on the cassette) is Bjørn Eidsvåg, Morten Harket and the Oslo Gospel Choir's song "Det Er Ennå Tid" (4:25). It was written for the Norwegian scout movement. The sleeve of the cassette is green with a picture of Morten and Bjørn sitting in two chairs in a studio. The space underneath lists all the artists involved in the project. This 7" single features two tracks taken from the film "Kamilla Og Tyven Del 2": Vi bygger hus (3:12) by Elisabeth Moberg and Så Lenge Hjertet Banker (3:00) by Grete Salomonsen. The cover features drawings of the characters in the film, including Morten Harket, but Morten does NOT sing on the record. 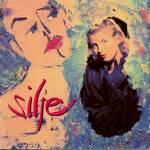 This female Norwegian singer released her album "Silje" in Norway on Sonet/Lifetime Records. Morten sings a duet with Silje on track 5 "Where You Are" which was not released as a single. 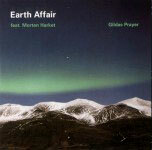 This album was available on LP and CD in Norway and was also released on CD in Japan. The album was possibly re-released on Princess Records with a sticker on the front informing the buyer: «Include duet "Where You Are" with Morten Harket & "Tell me where You're going" with Pat Metheny». This last song is a "bonus track" on the CD. The cover is a painted collage of a young woman with a photo of Silje as part of it. "Silje" is printed in large dark pink letters in the bottom left hand section of the sleeve. The disc is silver with "Sonet" printed in large blue letters diagonally across the top left of the disc. The artists name is printed in black letters immedately underneath. The track listing and other production information are printed in black at the bottom and right hand side of the disc. This album was also available on cassette. The song "Where You Are" was later included on the compilation album "It Takes 2" (see below). This album is a soundtrack album for the penelope film "Kamilla Og Tyven" and the sequal "Kamilla Og Tyven del 2". Morten sings the title track "Kamilla og Sebastian" (3:32) (track 1) which is played during the first film. The album was composed by Ragnar Bjerkreim for MTG (Mind The Gap) Productions. The album features 26 short tracks sung in Norwegian with a total playing time of 54:30. This album was only available on CD in Norway and around 3000 copies were sold. The sleeve is lime green with an artist drawn picture from the film (the original movie-poster) covering 3/4 of the sleeve. It shows Kamilla and other actors from the film, including Morten Harket to the lower left corner and the title is written in large red letters above. To the right of this picture, is the text "Morten Harket synger tittelmelodien Kamilla og Sebastian" written in black and a colour photo of him from the movie beneath. The reverse of the insert and back insert are the same, lime green with the tracks written in black and 3 film pictures down the right side. The actual CD is silver with pink "Kamilla og Tyven" and "MTG" logos. There was a second edition of the album which has a light blue back sleeve with the tracklisting printed inside a white box in the centre. Otherwise, this release is very similar to the first edition. 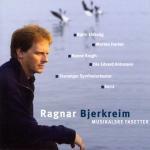 The track "Kamilla og Sebastian" by Morten Harket is also included on the Ragnar Bjerkreim compilation album "Musikalske Fasetter". Click here for more details. 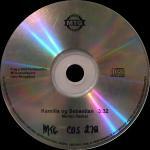 In 2002, "Kamilla og Sebastian" was released on a 1-track promo CD to Norwegian radio stations. Click here for more details. In 2005, a remix of "Kamilla og Tyven" sung by Morten Harket was released in Norway. Click here for more details. This soundtrack album for the film "Coneheads" was releases in parts of Europe and America. Morten sings the Engilsh song "Can't Take My Eyes Off You" (3:44) (track 5). The cover of the album features three of the `coneheads' from the film against a blue sky. The title is written in large yellow letters at the top. The booklet and reverse sleeve features pictures from the film and details of the 11 tracks but no lyrics. The CD is black with yellow and silver text. The Norwegian singer Anne Grete Preus released her album "Millimeter" in Norway. Morten sings in the background of track two, the title track "Millimeter" (5:15). The cover features a colour photo of the artist, smiling. The CD itself is blue in colour with a silver rim and features red and silver text. The track Millimeter was also included on Anne Grete Preus' best of album Mosaikk 16 Biter. This Norwegain album features Morten on tracks five and six "Hymne Til Kjærleiken" and "Sanctus" which are both sung in Norwegian. In these songs Morten sings one of the verses. The songs were composed by Ragner Bjerkreim. The CD is in a fold-out digipak. The cover shows a young woman looking down inside a textured painting on a white backgrouund. It comes in a tri-fold digi-pak with the CD booklet slotted in the centre pocket. The CD is light green and black showing the side of a face and features white text. With one of the first issues of 1995, the Norwegian Christian music magazine "Treff", gave away a free nine track CD. This CD included the song "1. Kor. 13" or "Hymne til Kjærleiken" from "Missa Caritatis". The cover is red and yellow with "treff CD1 95" printed in large red letters (in variable font faces and with white shadows). The "e" of "Treff" has been printed upside down, mirrored and on a black rectangle. "Salig Blanding" is printed across the top in a smaller black font. 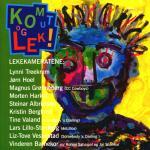 The 10 track compilation album "Kom Ut Og Lek!" ("Come Out And Play!") features various Norwegian artists under the collective title "Lekekameratene" ("Playing Mates"). Morten Harket sings track 7, a Norwegian version of Bob Dylan's "Forever Young", entitled "Evig Ung" (3:14). "Evig Ung" was produced by Morten, Knut Reiersrud and Ulf W.Ø.Holand. This album was available on CD and cassette in Norway only. The cover of the album is green and yellow with a painting of a face. The booklet contains paintings done by Norwegian children and the lyrics to the songs. The reverse sleeve of the CD has an abstract design with coloured shapes and the track listing. The CD is light green with the title written in big white letters and the track listing in red. The song "Evig Ung", originally found on the album "Kom Ut Og Lek! ", was put on a sampler CD for the anniversary of "Wrightgaarden Music Summer" in Norway. The royalties from which went to homeless children in the Phillipines. Norway Kom Ut Og Lek! Polydor 529 499-4? This compilation CD of Norwegian duets was released in Norway. It includes the Morten and Silje Nergaard duet "Where You Are" (4:11) as track 12. The track is listed as "Where We Are". The cover of the album is black and features two different shots of Norwegian football-player Jan Åge Fjørtoft inside a circle in the centre. Names of the artists included on the album are printed either side of the picture. The disc is red, white and black with the track list printed down the right hand side. This album was also released on cassette and has a similar cover design. This 36 track, 2 CD compilation of Norwegian artists includes Morten Harket's "A Kind Of Christmas Card", a-ha's "Crying In The Rain" and Savoy's "Velvet". The cover is white and features a picture of a Norwegian cheese cutter. The title is printed in white and red across the middle with the artists listed in white underneath. A Kind Of Christmas Card is also included on the compilation album Spellemannprisen 1972 - 1996. Morten Harket's song "A Kind Of Christmas Card" appears on the CD celebrating 25 years of the Norwegian Spellemann awards. The album features tracks by artists who have won Spellemann awards between 1972 and 1995. The cover of this release is almost twice the size of a regular CD sleeve. It is red with a darker red 'shadow' of the familiar Spellemann award trophy. At the bottom, in dark 'shadowy' digits is the number "25". Above this is the title printed in white letters. The sleeve opens out in three parts. On the left hand side is the "Innhold" with a list of what the booklet contains. In the middle is a 34 page booklet with a page on each featured artist. The booklet also includes the nominations for the 1996 awards (Savoy are mentioned twice in this list). On the right hand side is the CD itself. The bassist for a-ha between 1991 and 1994 released his own solo album in Norway. Morten sings backing vocals on track 4, "Never Hear That Laugh" (5:04). The front sleeve, inner sleeve and reverse sleeve features detailed portions of a print from a woodcut made by Magne Furuholmen. The print is grey / brown in colour with red and black detail of a guitar. The booklet contains lyrics to the ten tracks and small pictures of Jørun. The CD is black with a silver shadow picture of Jørun holding his guitar and silver text. This CD was also released as a special limited edition of 200 copies which came in a fold-out box (6"x15�") covered in black material. The front is covered by part of one of Magne's paintings printed on canvas, titled "Kutts" (large version of normal cover). It contains an exclusive large 21 page booklet with photos of Jørun and song lyrics. 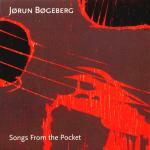 The CD is black with the silver text which reads "Jørun Bøgeberg Songs From The Pocket n©b IDCD 591 P & © 1996 Norsk Plateproduksjon". This edition is personally autographed in pencil by Magne Furuholmen, photographer Alf Børjesson and of course Jørun Bøgeberg inside the case. The design is by Millimeterpress. 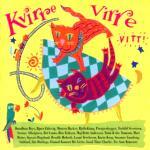 This Norwegian 18 track album features Norwegian artists performing songs from their childhood. Morten sings track 10, "Kråkevisa" (4:36) ("Crow Song"). The cover of the CD is yellow with coloured childrens drawings of cats, a train, a flower and a parrot. The artists are listed on a green background at the bottom and the title is in pink at the top. The booklet features details of the tracks and more childrens pictures. The reverse sleeve is pink with white titles and more pictures. The disc is black with pink and silver text plus pictures of a fish and a teddy bear. This album was also released on cassette in 1994. The cover is of similar design to the CD cover, but the background is pink, the cats are orange and green cats and the title is in yellow above. There were very limited number of the cassettes produced. This 18-track compilation album includes Morten Harket's "Spanish Steps". The cover is white with coloured shapes which look like petals. The title is printed in large red and white letters in the middle of the sleeve with some of the artists on the album listed in yellow underneath. This 12 track album for the musical Sophie's World was released only in Norway. Morten plays the part of Socrates and performs track 2 "A Jester In Our Town" (3:56). This track was produced by Gaute Storaas. The CD cover features a blue and pink picture of the left-hand side of a girl's face wearing a globe ear ring. The booklet features details of the tracks, lyrics plus small pictures of the cast. The reverse of the sleeve shows a close up picture of the ear and ear ring as shown on the front. The disc is dark blue with white text. The song "Millimeter" sung by Anne Grete Preus with Morten Harket on backing vocals is included on this 16 track best of compilation album. The cover of this German made CD shows a shot of Anne Grete lounging on a chair with a guitar lying on the floor in front. This Swedish soundtrack album " (MTG-CD 41666) features one track by Morten Harket "Jungle Of Beliefs". The disc is green with white text. More details to follow. The track "Jungle of Beliefs" by Morten Harket is also included on the Ragnar Bjerkreim compilation albums Musikalske Fasetter and Sound of Ocean. There were plans to release a CD-single by Boolaboss and Morten Harket called "The Secret" but it was never released. The planned cover used very dark colours and featured a picture of a person wearing dark clothes and holding something in his hands. The title was to be printed above in white letters. The 14-track Norwegian only Salvation Army CD "Perleporten" features a duet between Morten Harket and Anne Marie Almedal "Han Er Min Sang Og Min Glede" ("He Is My Song And My Joy") (track 4 - 4:41). This song is based on The Beatles track "There Goes My Everything". The cover is blue and features a picture of a woman standing on some rocks, carrying a guitar case. The title is printed in large yellow letters across the lower section of the sleeve. The artists featured on the album are listed in white down the sleeve. Inside the front insert, there are black and white shots of the artists involved, including Morten. This release was also available on cassette. As part of the release program, a promotional package was distributed to the music journalists. The CD comes in a jewel case with a large white promotional sticker on the front listing the artists and tracks. The disc itself is a CD-R with DIV. ARTISTER "Perleporten" printed in black. Also included in the pack is a T-shirt, 4-page CD insert and a 1-sided invitation. This compilation of 17 Ragnar Bjerkreim tracks features two songs sung by Morten Harket: Tarck 3 - "Jungle of Beliefs" (3:36) and track 12 "Kamilla og Sebastian" (3:32). The cover features a picture of Ragnar Bjerkreim sitting in front of still water with birds on the water in the distance. The title in white and blue letters is placed towards the bottom on the sleeve. Names of some of the artsits included on the album (Bjørn Eidsvåg, Morten Harket, Hanne Krogh, Ole Edvard Antonsen, Stavanger Symfoniorkester, kor:z) are printed in white in the middle of the sleeve. This album by the Norwegian choir Sølvguttene features the track "Mitt Hjerte Alltid Vanker" by Morten Harket. The cover is dark blue with the image of a bell in the background. The title in large calligraphic letters is printed across the sleeve in black. Names of the artists who appear on the album are printed in white at the bottom. This children's collection of 11 Norwegian evening prayers features the track "Me Slår Framfor Oss Krossen Din" (2:09) sung by Morten Harket (track 6). The album was produced and arranged by Kjetil Bjerkestrand, who also plays keyboards. The album was recorded in 1994 on cassette, but not released on CD until 2001. The album title "Nå Lukker Seg Mitt Øye" translates to "As my eye is now closing". The CD cover is blue with an artist drawings of a child, teddy bear, owl, cat and an angel sleeping in a tree. The title is printed in white at the top of the sleeve. The disc is silver with black text. The cassette has a similar cover to the CD, but only includes prayers. There is also a 13 x 20 cm songbook containing the lyrics, drawings and notes to all of the tracks plus a poster. 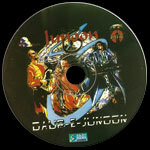 The Pakistani band Junoon have released their album "Daur-e-Junoon" in Pakistan on 29th March 2002. The album features "Piya" (The Ocean Of Love) (track 12) which was written by Salman Ahmad and sung by Morten Harket and Ali Azmat. This track was recorded at Spektrum Studios in Oslo, Norway on 9th September 2001. The cover states that the album has 14 songs on it, but it really has only 13 tracks. There is a promo edition of this album which is a picture CD but doesn't come with any cover artwork. The picture disc design is similar to the front cover of the regular release. It comes in slim jewel case. (To be confirmed that this disc is the same as the regular release?). 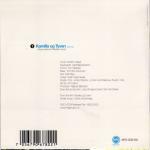 In 2002, "Kamilla og Sebastian" was released as a 1-track promo CD by Penelopefilm, MTG-produksjon/Larry Bringsfjord. This CD doesn't have a sleeve. The disc is plain with the title, artist, MTG-logo and copyright text printed in black. The catalogue number has been hand written on the disc. This 17-track Norwegian compilation album "Sound of Ocean" features "Famous Themes From Serba Film" including "Jungle Of Beliefs" by Morten Harket. The cover features a colour shot of a ship on the ocean. The title and additional information is printed in white on grey strips along the top and bottom of the sleeve. 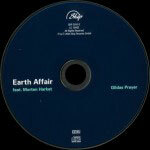 "Earth Affair - Chapter One" is a project uniting cultures featuring the Mezzoforte drummer Gulli Briem from Iceland. The project was created in in London, Paris, Reykjavik and Oslo during the last two years. Accompanying Gulli on the album are Eythor Gunnarsson (Mezzoforte), Voces Thules, Mathias Canavese (Les Negresses Vertes) and Michael McGoldrick (Afro Celt Sound System). Some of the mixing on the album was done by Flood (U2 producer) and Danton Supple (Mixing Coldplay). Morten Harket performs on the song "Gildas Prayer" (4:13) [track 7 of 11]. This CD was released commercially in Germany on 2 August 2004. In connection with the release of the "Kamilla" films on DVD, a remix of the song "Kamilla og Tyven" (3:34) (known as "Kamilla og Sebastian" on the soundtrack album), sung by Morten Harket is due for release in Norway. The 1-track promo CD (released to Norwegian radio stations August 2005) comes in a card sleeve. 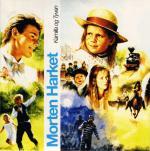 The front cover which features colour drawings of some of the actors in the film (including Morten Harket). Along a white strip down the centre of the sleeve, "Morten Harket" is written in blue letters with the title in black afterwards. The reverse of the sleeve is white with the title in blue towards the top and track details in black underneath. The disc is white with Morten Harket in black and the title in silver. For information on the DVD releases, go to the video/DVD section. This 11 track album features tracks by various artists including "Garden Of Love / Kar Sa Myon" (4:23) by Rukhsana Murtaza, Abdul Rashid Farash and Morten Harket (Track 9). The album was released by Kirkelig Kulturverksted. It was available for download from 15 September and on CD in Norway from 1 January 2009. The cover features a shot of a man made wall type (wooden?) structure with graffiti of a bird at the bottom and a hand drawn ladder leading up to the top of the wall. The title is printed in white on the right hand side of the sleeve. 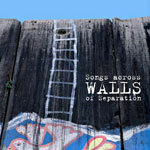 The album follows the peace concert "Songs Across Walls Of Separation" which took place in Vågen in Stavanger on 12 September 2008. Morten took part in the concert together with hundred of children from the music school, actors like Espen Hana and Malin Soli plus singers from Morocco and Palestine. 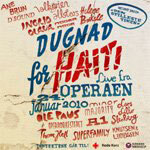 A collection of live songs from the charity show "Dugnad for Haiti" on 24 January was released in Norway on 15 February 2010. Although the album does not include Morten's performance of "O Bli Hos Meg", both the studio and live version of "Den Stilleste Timen" featuring Morten on vocals, are included. 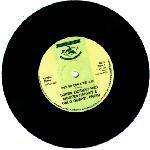 There is also a 1-track promo only single "Dugnad for Haiti" featuring "Den stilleste timen" (4:00). Norway Dugnad for Haiti Grappa Musikkforlag AS ? Morten Harket has recorded his first ever tribute song to the Norwegian saxophone player Bendik Hofseth. It is part of a huge box set, the track is "The Boy From Port Manteau", a collaboration with internationally acclaimed saxophone player Håkon Kornstad and Norwegian producer Peder Kjellsby. This 25th Anniversary box set which salutes Bendik Hofseth’s album "IX", voted Norway’s 95th best album ever by 100 Norwegian artists. Bendik is one of Norway’s most successfull saxophone players. CD2: "IX Rarities" (15 demo tracks, outtakes and alternative takes from the "IX" era). BOOK: Terje Mosnes has written the story about Bendik Hofseth’s "IX"